Sony will release the first expansion pack for Warhawk next month, as a online download-only offer on PlayStation Network. The news is hardly a surprise. After all, Warhawk was the first game to be made available on Blu-ray and as a digital download and Sony was sure to continue with this strategy if it wants to lure people onto the PSN. 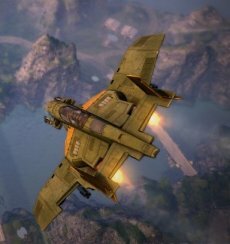 Dubbed Operation Omega Dawn, the add-on will come packed with a new aircraft, eager to spread its silver wings over the newly added battlefield. In addition, the expansion pack will feature five new maps, packed together under the Omega Factory battlefield name. Sony has yet to reveal the exact release date, as well as the price for the add-on. Valve: Google Will Not Buy Us!